I came home from work on Monday expecting to head to the gym and watch The Bachelor, but instead, I smelled something delicious cooking in the kitchen. 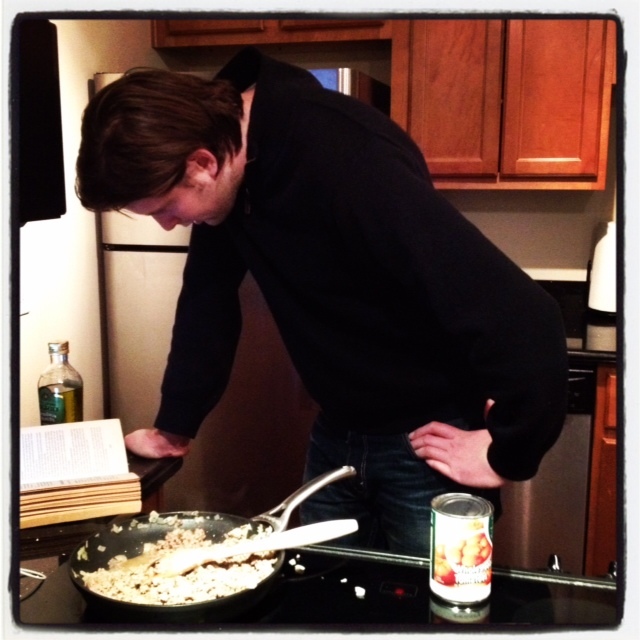 It was Gareth cooking me dinner for Valentine’s Day! It was such a great surprise! This was a momentous, historic occasion in our household because this is the first real meal that Gareth has ever cooked for me. He made me Spaghetti Bolognese from his “Cooking For Blokes” cook book. 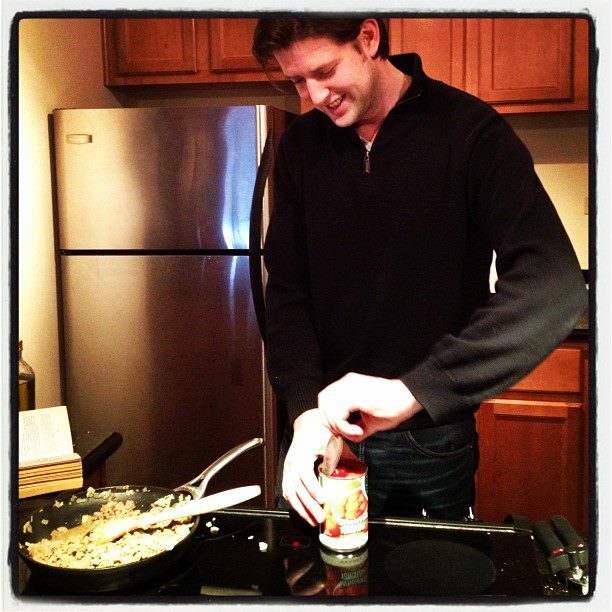 Cooking for someone is one of the most loving things you can do. Eating and enjoying the meal together is a shared experienced of the other’s hard work, effort and the love they put into the food. It was a delicious meal that I will never forget. ← Lucious Lemon Pork Chops.